Attention brides everywhere! We have some big news – wedding flowers don’t have to cost a fortune, thanks to Marks and Spencer. 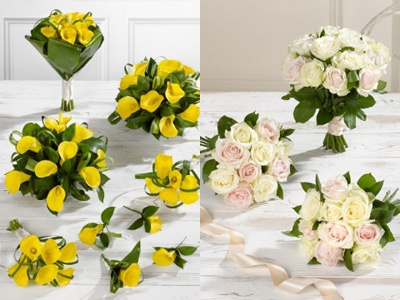 M&S has become the UK’s first major retailer to start selling wedding flowers, which is great for couples on a budget. Prices start at £125 for the simplest collection, which includes a bridal bouquet and two bridesmaid bouquets. The most expensive collection (which is still very reasonable) comes in at £340. 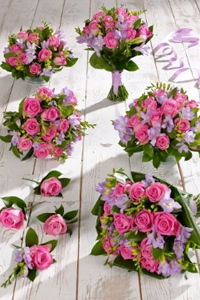 It includes a bridal bouquet, two bridesmaid bouquets, four buttonholes, two table arrangements and a vase arrangement. We call that a deal. The news gets even better. If you’re in a rush, you don’t need to panic. Your choice of flowers can be ordered online up to 21 days before the big event. So, you can pick up your wedding cake, stationery and flowers from M&S. We’re expecting budget bridal dresses next. For more information visit marksandspencer.com. We think the flowers are a wonderful idea. Do you? Let us know on Twitter @WomanMagazine. HAVE YOU SEEN THESE CELEBRITY WEDDING PICTURES?